Those who use the MBTA for their commutes are commonly thought to be the primary beneficiaries of public transit. After all, on most days it gets them to work and back. 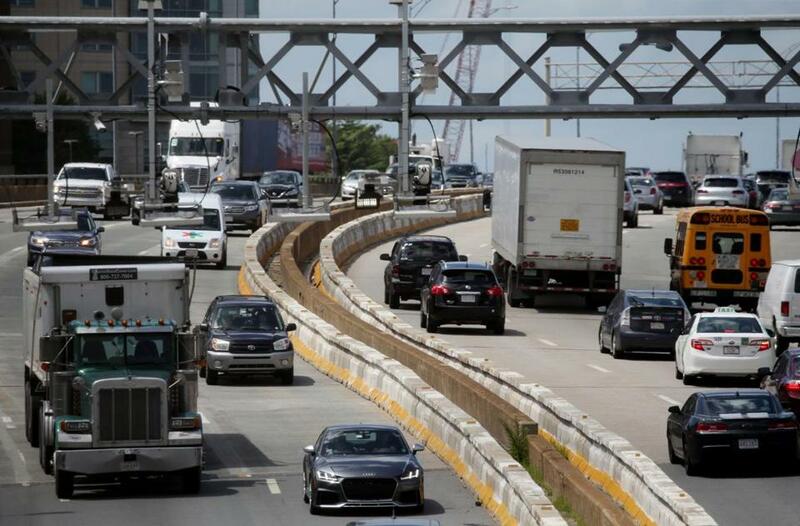 But with highway congestion in Greater Boston intensifying to near gridlock, those who rely on their private cars for commuting may become the T’s greatest beneficiaries — even if most of them never use it. They will gain not only in terms of less time spent on the roads but in the cost of operating their own vehicles. If frustrated auto commuters better understood this, they might happily ante up to improve public transit — for their own benefit. There are now more than 2.25 million Greater Boston commuters on a typical workday, and 1.5 million of them use their private vehicles to get to work. These highways were never constructed to handle such crowds, nor an expected 50,000 more by 2030. Overall, the average morning commute speed on the region’s major highways is now just 18.4 miles per hour. That means the typical commuter is now spending around 15 hours a week sitting in traffic — or 720 hours per year. But if we were somehow to move just 13 percent of the daily commuters off the road onto public transit — about 195,000 — highway flow analysis suggests that the average speed during commuting hours could be doubled to more than 37 m.p.h. — still well below the highway speed limit. But even that improvement would save the typical commuter about 7.5 hours per week in commuting time or 360 hours per year. Continuous improvement in, and expansion of, public transit routes, could make commuter rail more attractive to an even larger number of current and future commuters who would see such transportation as a more pleasurable way to travel. Yet there is an additional benefit. The typical commuter who drives 6,000 miles per year in commuting now spends around $821 a year in fuel. Doubling the average speed increases fuel efficiency so much that it cuts the fuel bill to just $552 a year — a savings of $269 a year. Growth doesn’t just happen in Arizona or Florida. The Boston area needs to embrace its expanding population — and plan accordingly. Read: It’s not your imagination. 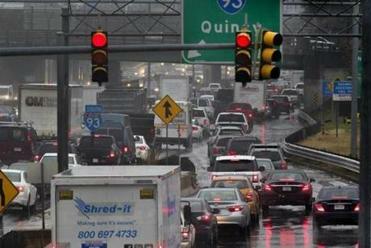 Your Boston commute is getting worse. Developing “last mile” transit — perhaps in a joint partnership between regional transit authorities and private transit options such as Uber and Lyft today and autonomous vehicles tomorrow — making it possible for those who work in suburban locations to use commuter rail to get to stations near their employers and then use these options to travel the “last mile” to work and back to the commuter rail station. Expanding parking garages at existing rail stations to accommodate more commuters. Expanding the commuter rail system to more locations with improved frequency and better quality of service. Unifying our divided rail system by building the North South Rail Link between North and South stations so that commuters from the north of the city who work in the south and vice versa have a compelling alternative to existing highway commutes and not be faced by multiple-mode shifts on public transit. The question, of course, is how to pay for these tangible improvements in public transit. The answer lies in getting the true beneficiaries of improved public transit to pay for it. If drivers were to pay only $269 a year more in gasoline taxes, tolls, or a vehicle miles traveled fee to the MBTA, the Commonwealth would have an additional $3 billion over 10 years to make some of these improvements. If congestion declined, as suggested above, those who still drove to work and back would break even — saving in fuel cost what they paid in added fees. And if commuters valued their time at no more than $2.50 per hour and were willing to pay the T for the privilege of spending less fuel and less time in their commute, the total revenue boost to the T could be $1.24 billion per year — augmenting what the T currently spends each year on operating expenses, capital improvements, and debt service by 36 percent. Surely, this amount could be used to make the improvements needed to boost public transit ridership. The problem is ultimately a political one, however. If commuters were willing to pony up what amounts to a net increase of anywhere from $269 to $766 per year, would they actually believe the MBTA would make the improvements in public transit that would cut their daily commute time in half and their fuel bill by a third? Given the T’s past record, most drivers would be skeptical. So it is time for the T to make a promise to the Commonwealth’s commuters that it will spend this added revenue efficiently and effectively on reducing congestion – or drivers get their money back. Barry Bluestone is a professor of political economy in the School of Public Policy and Urban Affairs at Northeastern University.